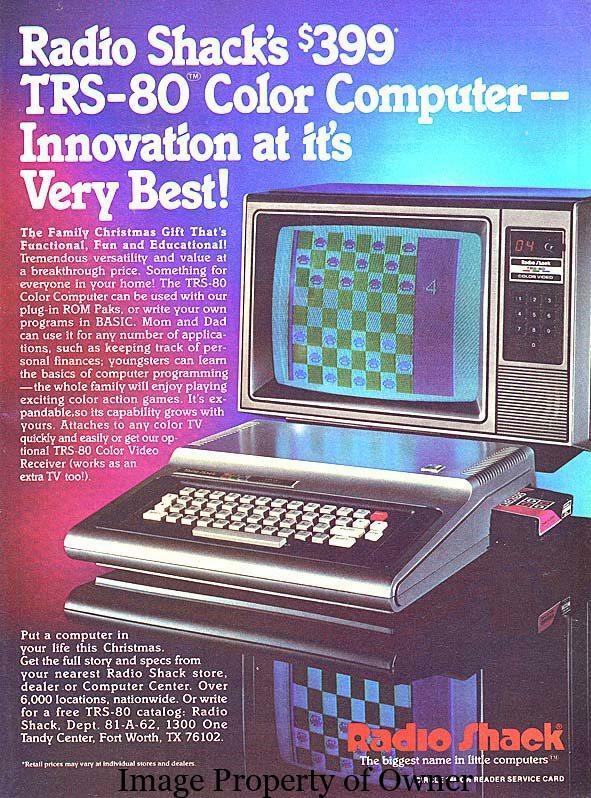 Tandy Corporation manufactured computers such as the TRS-80 for Radio Shack and while the name Tandy is long forgotten now, at the time it was giving giants Apple and Commodore stiff competition by being one of the earliest mass-produced pcs. The original model came equipped with BASIC and full QWERTY keyboard but managed to stay small in size. Retailing for $600USD, TRS-80 included the CTR-41 cassette recorder for data storage but its main flaw was the screen which had a definite flicker and was prone to interference from any nearby electronics. 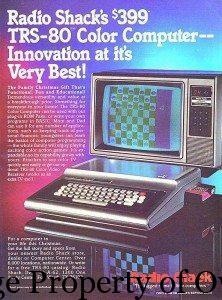 Even so, when the price dropped to $399USD Radio Shack marketed it as a perfect family Christmas gift. Not in my family- I’d sooner get a couple of ponies and a jet pack than a $399 computer! I can hear my dad even today saying “What?! Well what the thunder would you do with it? !” BTW, TRS stands for Tandy Radio Shack if you hadn’t guessed by now. For more info on obsolete systems and tons of fun info I highly recommend oldcomputers.net!!! !